Whether it was as a star high school quarterback, a Super Bowl-winning head coach or a championship-winning NASCAR team owner, Joe Gibbs has a championship attitude in the spotlight, and out of the spotlight, he is a champion of faith. Learn more about this inspirational man in this week’s Fast Facts. Joe Jackson Gibbs was born November 25, 1940 in Mocksville, North Carolina. He graduated in 1959 from Santa Fe High School in Santa Fe Springs, California as the school’s star quarterback. After high school, he attended Cerritos Junior College and San Diego State University, graduating in 1964. After graduation from SDSU, his first football job was as offensive line coach for SDSU from 1964 to 1966. He also worked at Florida State, USC, and Arkansas before getting his first National Football League job, as running backs coach for the St. Louis Cardinals, in 1973. He was the offensive coordinator for the Tampa Bay Buccaneers and the San Diego Chargers from 1978 to 1980, and was then hired as head coach for the Washington Redskins in 1981; Gibbs first held the position until 1992, then returned to coach from 2004 to 2007. As Redskins head coach, Gibbs won three Super Bowl titles (1982, 1987, and 1991) and four NFC championships (1982, 1983, 1987, and 1991), as well as many coach of the year awards. Gibbs was inducted into the Pro Football Hall of Fame in 1996. Gibbs had a regular season record of 154-94 and a post-season record of 17-7. 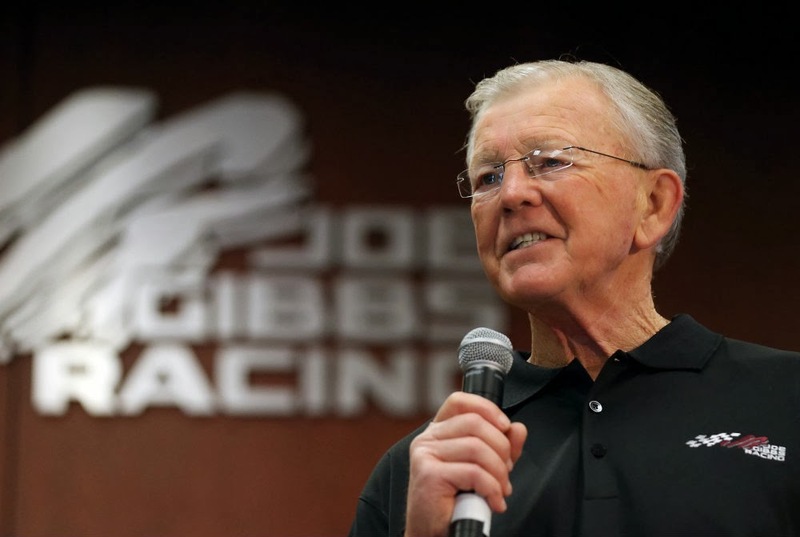 In 1991, Gibbs formed Joe Gibbs Racing. In May 1991, he secured Interstate Batteries as his first sponsor, a company which remains with JGR to this day. In August 1991, he signed driver Dale Jarrett to race in 1992, and shortly thereafter, crew chief Jimmy Makar to guide the team. JGR has won championships in the Sprint Cup (2000 with Bobby Labonte, 2002 and 2005 with Tony Stewart) and Nationwide Series (2009 with Kyle Busch), as well as NHRA Drag Racing (1996 and 1997 Pro Stock titles with Jim Yates). Away from sports, Gibbs and his wife Pat have homes in Virginia and Charlotte. They have two children, J.D. and Coy, who with their wives have given the Gibbs’ eight grandchildren. Gibbs is a devout Christian who leads all of his teams in prayer before races. He has written three books: Fourth and One (1992), Racing to Win (2003), and Game Plan for Life (2009). He also hosts the website www.gameplanforlife.com, offering tips and stories on health and fitness, relationships, career, life purpose, and everyday struggles along with a host of other writers. For more information on Joe Gibbs Racing, visit joegibbsracing.com. For more information on his football career, visit his biography on the Pro Football Hall of Fame website.